Perforated Metal has endless applications such as enclosures, partitions, sign panels, guards, screens, and more. Perforated galvanized sheets are steel with a durable protective coating of zinc. They may be formed without flaking or peeling. They can also be welded and soldered. Notes: Sheets may have 1/8 inch solid border on one or more sides. View More In Expanded & Perforated Sheets. If you have any questions about this product by Online Metal Supply, contact us by completing and submitting the form below. If you are looking for a specif part number, please include it with your message. 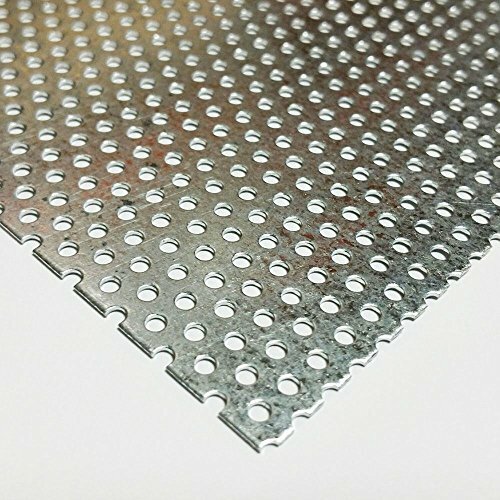 Online Metal Supply Steel Expanded Metal Sheet Flattened (5/16 #20) .036" x 24" x 36"